Red and White Rose Fireside Baskets let them know you care. 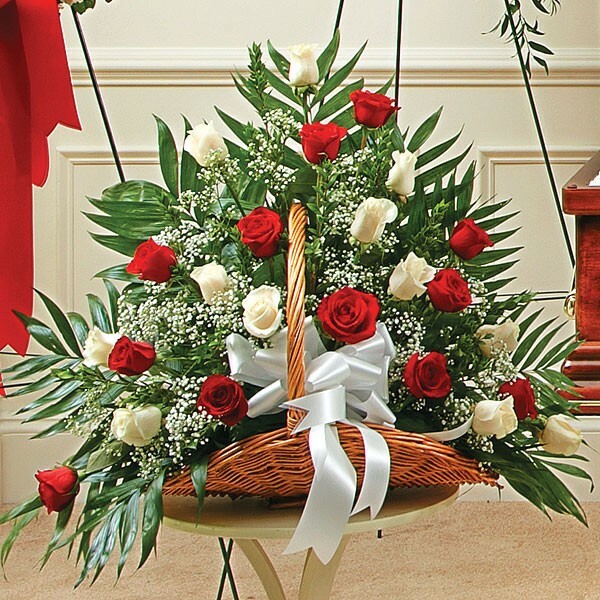 Send a basket of flowers to the funeral home to express your condolences. Send sympathy and funeral flower arrangements and plants in NYC from plantshed.com, your local florist.